A Reablement Service is a short term assessment and support service provided to older people (65 plus) living in their own homes. It lasts for six weeks or less and supports people to regain or relearn skills for independent living such as washing, dressing, or meal preparation after someone has had a fall, an episode in hospital or a period of ill-health. Reablement aims to help people to do things for themselves rather than having to rely on others. The Reablement team includes Occupational Therapists and Reablement support workers who agree, with the older person, areas they want to work on and plan activities and visits to support them to regain independence and confidence. At the end of the Reablement service, many service users will be able to continue to live independently in their own homes where support is required a referral can be made to other services. Reablement is a person-centred approach which is about promoting and maximising independence to allow people to remain in their own home as long as possible. 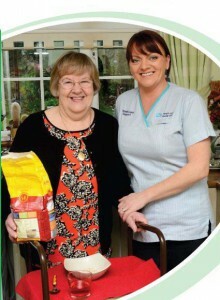 It is designed to enable people to gain or regain their confidence, ability, and necessary skills to live independently, especially after having experienced a health or social care crisis, such as illness, deterioration in health or injury.The aim of Reablement is to help people perform their necessary daily living skills such as personal care, walking, and preparing meals, so that they can remain independent within their own home. Reablement will help you to do things for yourself rather than having to rely on others. The short video below explains how reablement works.